Units covered in this course include Earth and Space Science, Life Science, and Physical Science (Physics and Chemistry). This course teaches the student to apply what he or she has learned in the content matter of the course to everyday situations. The student will learn to think through situations and apply what he or she has learned to reach sound decisions. This course teaches critical reading skills and their use in learning new material. The student will also learn the basics of interpretation of illustrations. Upon satisfactory completion of this section, he or she should be able to successfully read and understand material in both the life sciences and the physical sciences. 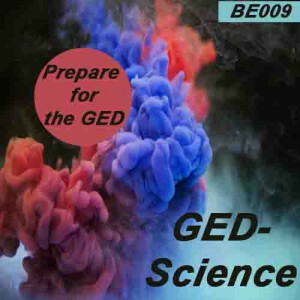 The student should be able to pass the post-test and successfully complete the Science portion of the GED.